The year 1998 saw two major Elizabethan films at the box office. 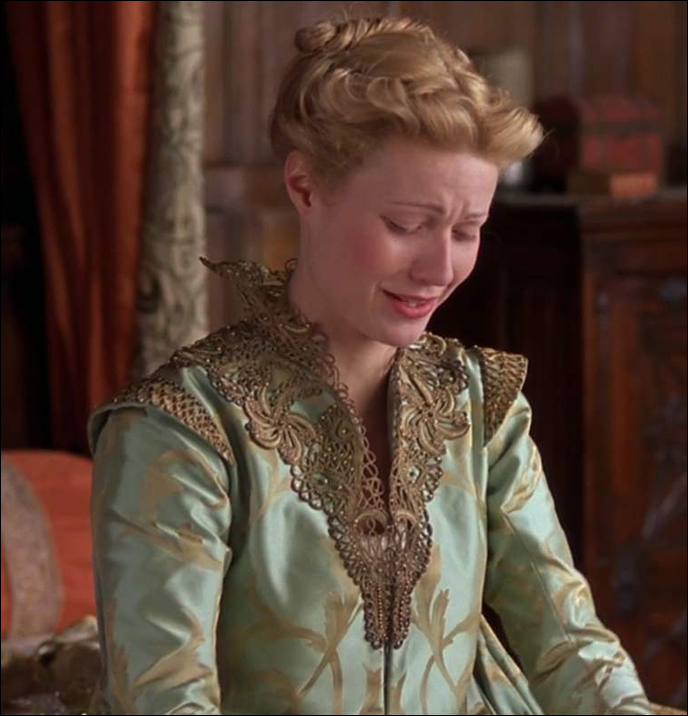 Shakespeare in Love, with costumes designed by Sandy Powell, and Elizabeth, with costumes designed by Alexandra Bryne, were both nominated for an Academy Award for Best Costume Design. 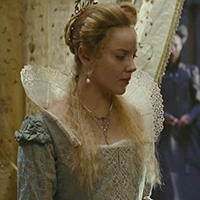 It was ultimately Shakespeare In Love that took home the award, though Alexandra Bryne’s Elizabethan creations would later win for the film’s sequel, The Golden Age in 2007. This blue silk dressing gown from Shakespeare in Love was worn on Gweneth Paltrow as Viola De Lesseps. 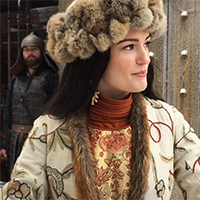 The costume was not seen again until 2007, when it was worn by Natalie Dormer as Anne Boleyn in the first season of Showtime’s series The Tudors, which rarely used original garments. It was seen a third time in 2009 on Annabelle Wallis as Jane Seymour in the third season. Finally, it was used on an extra at the Globe Theatre in the 2011 film Anonymous.